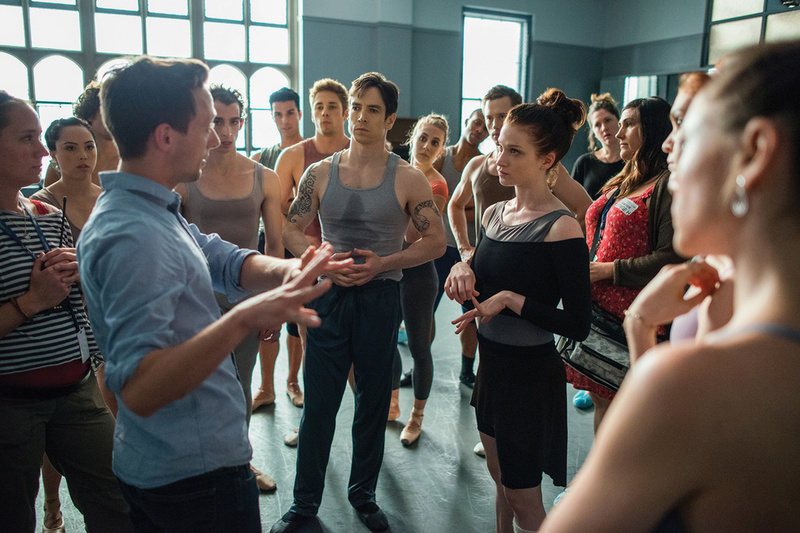 Ballet's Dark Side: On the Set of the New TV Drama "Flesh and Bone"
Producers spent 15 weeks auditioning professional dancers to make up the show's American Ballet Company. Sarah Hay stars as Claire, a talented new dancer with a troubled past. Photo by Myles Aronowitz, Courtesy Starz. "Cut!" Ethan Stiefel's voice booms from behind a monitor. The cast of “Flesh and Bone," the Starz network's new television series set in a New York City ballet company, is filming the final episode's climactic performance scene. Onstage, the dancers regroup while Stiefel, the show's choreographer and dance consultant, huddles with the director and film crew before heading onstage to give notes. Five minutes turn to 20 as the cast stands by, dropping down into push-ups or stretches (one even donning a parka) to keep their bodies warm while the crew fiddles with lighting and camera angles. Makeup artists emerge to powder noses. After what feels like an eternity, the cameras finally roll and everyone once again bursts into dance. For the 22 professional dancers that make up the bulk of the show's cast, this is the grueling reality of film production, and a major adjustment from live theater. “The days are very long," says former American Ballet Theatre principal Irina Dvorovenko, who plays Kiira. “You have to do many, many takes from this angle and that angle." But Dvorovenko relished the experience, and plans to pursue more acting opportunities. “Time flies on set. I loved every minute of it!" Like many depictions of ballet on film, “Flesh and Bone" contains some familiar clichés: the naïve ingénue on the brink of stardom, the tyrannical director, dancers seething with jealousy. But unlike an hour-and-a-half movie, Starz's eight-part series, which premieres November 8 and contains mature content, allows more time to dig deeper into the motivations of each character. 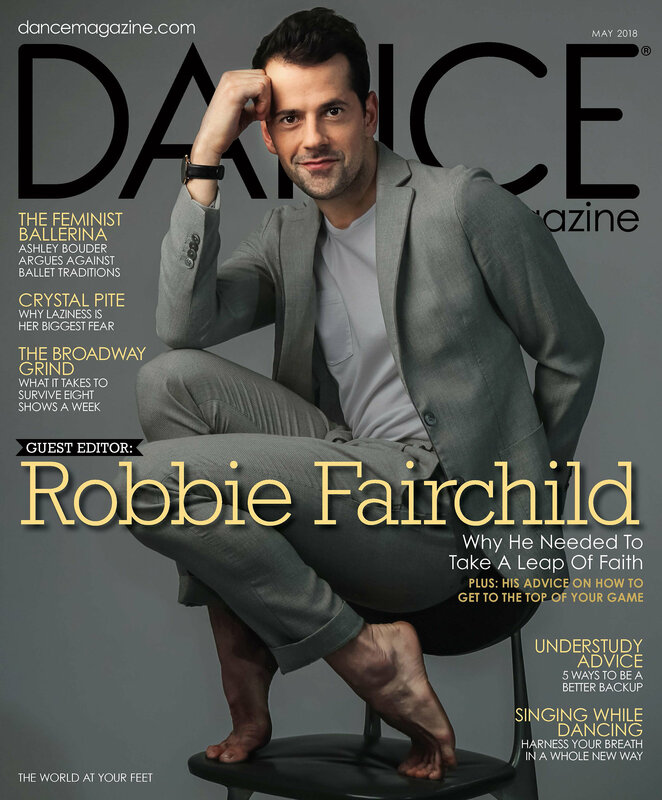 “There is a lot of dancing in 'Flesh and Bone,' and Ethan created an awesome, cinematic ballet that should translate well to the screen," says former ABT soloist Sascha Radetsky, who plays Ross. “But the show is less about the dance world and more about a set of fascinatingly drawn fictional characters." Ballet master Matthew Powell gives the cast notes. Long hours on set helped the dancers develop a sense of camaraderie much like that in a real ballet company. "When you're working together that closely, you get to know each other fast," says Sascha Radetsky. Debra Austin and Jeffrey Gribler in Pennsylvania Ballet's production of Balanchine's "Rubies." Copyright Steven Caras, all rights reserved. Debra Austin has a special place in dance history: In 1971, at age 16, she was the first African American woman George Balanchine hired into New York City Ballet. After nine years with the company and two years with Zurich Ballet, she joined Pennsylvania Ballet as a principal dancer, making her the first female African American principal hired by a major U.S. ballet company outside of Dance Theatre of Harlem. Famous for her buoyant jump, Austin's vast repertoire ranged from classical roles to Balanchine to Hans Van Manen. Since 1997, she's been passing on her knowledge as ballet master at Carolina Ballet, a company led by her former director at PAB, Robert "Ricky" Weiss. In honor of her achievements, Texas Christian University's School of Classical and Contemporary Dance has named Austin as this year's Cecil H. and Ida Green Honors Chair. She started at TCU this week, where she's been leading master classes and cross-department collaborations, attending cultural events and giving lectures. We caught up with Austin prior to her residency to talk about her extraordinary career. Austin as the "Russian Girl" in Pennsylvania Ballet's production of Serenade. Copyright Steven Caras, all rights reserved. Petit Pas's En Pointe bracelet, made from used pointe shoes. Courtesy Petit Pas. Have you ever looked at the ever-growing pile of dead pointe shoes in the corner of your closet, unsure of what to do with them? It seems wasteful to throw them out, but they can't be recycled. And many dancers feel a sentimental attachment to their old shoes and want to hang onto them. This is where Petit Pas comes in. This new New York City-based company is dedicated to finding a second life for pointe shoes, creating bracelets and other items out of discarded shoes.